I'm not sure if I've mentioned before that recently I joined a local book group. It's something that I've wanted to do for a long time and I'm very happy that I've found the group that I have. I joined around the time of World Book Night. I was giving away copies of one book (The Knife of Never Letting Go by Patrick Ness), it turned out the lady who runs the book group was giving out another (Me Before You by Jojo Moyes, I believe) and another school mum who I'd known for awhile invited me to join the next meeting which was happening in a few days' time. The reason I went? My friend said that one of the books they would be discussing was Noughts and Crosses by Malorie Blackman. A book group of adult women that discusses YA novels? Sold. As it happens, my book group mostly reads adult books. Crime/thriller, historical reads, family dramas with only the occasional dip into teen fiction. But that's okay. I will do just about anything so that I'm able to meet up regularly with other people who likes books and don't bat an eyelid about sitting over lunch and talking books for a few hours. Those are my sort of people and I've been looking for that for awhile now. So today I thought I would share with you a few of our latest book group choices. In the same way that I'm attempting to bring more YA choices to the group, I am trying to diversify my own reading. There was a time when my book choices were evenly split between YA and adult fiction. Somewhere along the line, YA took over entirely. But it doesn't always have to be so. The new novel from this well-loved, bestselling author. 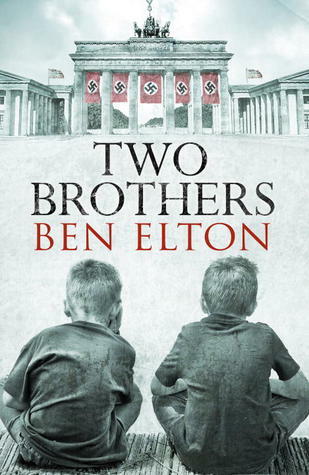 Two Brothers is a heartrending story of two boys growing up under the darkening shadow of the Nazis. Born in Berlin in 1920 and raised by the same parents, one boy is Jewish, his adopted brother is Aryan. At first, their origins are irrelevant. But as the political landscape changes they are forced to make decisions with horrifying consequences. I'm not the biggest fan of historical fiction but I'll read it occasionally. I've read books by Ben Elton before but this seems like a bit of a departure for him? It was picked after it was discussed on the radio by Simon Mayo? I will definitely attempt this book. The stunning new novel from Costa Award winning novelist Maggie O'Farrell: a portrait of an Irish family in crisis in the legendary heatwave of 1976. It's July 1976. In London, it hasn't rained for months, gardens are filled with aphids, water comes from a standpipe, and Robert Riordan tells his wife Gretta that he's going round the corner to buy a newspaper. He doesn't come back. The search for Robert brings Gretta's children — two estranged sisters and a brother on the brink of divorce — back home, each with different ideas as to where their father might have gone. None of them suspects that their mother might have an explanation that even now she cannot share. Maggie O'Farrell's sixth book is the work of an outstanding novelist at the height of her powers. It is typical that not every book that is chosen for the month will be read by everyone. 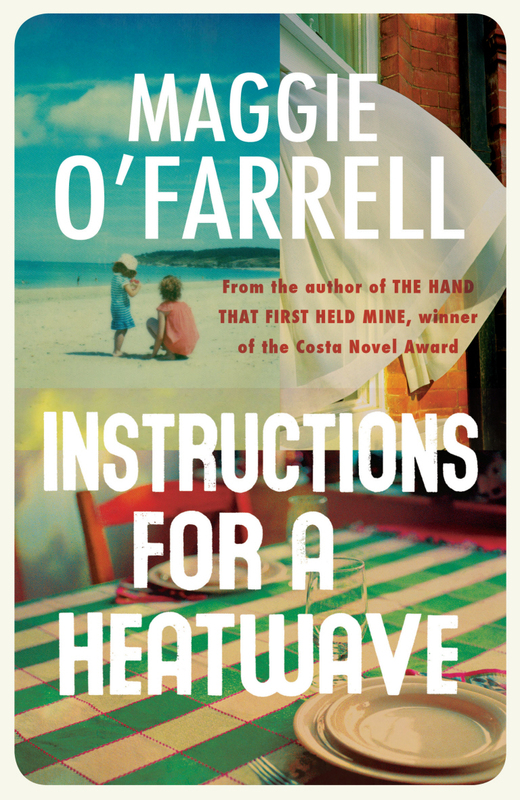 We pick and choose what we fancy but we do try to pick at least one book that most people will read and this time, that book is Instructions for a Heatwave. I've recently bought this book and I'm looking forward to it! As power fails, and systems fail, the farm becomes more isolated. Despite the war, it’s a kind of Eden, with no adults in charge and no rules, a place where Daisy’s uncanny bond with her cousins grows into something rare and extraordinary. But the war is everywhere, and Daisy and her cousins must lead each other into a world that is unknown in the scariest, most elemental way. Are you part of a book group? What book would you recommend for our book group? How I Live Now is incredible! I've read it four times and it made me cry each time; Meg Rosoff is one of my all time favourite authors. And I've heard that Instructions for a Heatwave is really good too. Hope you enjoy them all! THanks Maya :) I've already read How I Live Now, but I think it'll be nice to revisit it before I see the film! I really need to read How I Live Now soon, especially before the film is released. It does sound really good so I'll have to squeeze it in somewhere. So many books to read at the moment! Book clubs are so much fun, aren't they? I go to a teen one at my library and I love the bookish vibes! Your book group sounds brilliant! I'm glad it's going well. How I Live Now is an excellent choice - definitely educate them about YA! But it's also nice to get the chance to read more adult fiction. Thanks Stacey :) And yes, I think it is very nice to be challenged a bit in what I've been reading lately! Two Brothers sounds really interesting, and I have How I Live Now from the library to read before the film releases! It will be awesome if you have a big trip to the cinema together too. Ooh, good luck starting up your local one! That sounds like a lot of fun.